Retail big data analytics is the future of retail as it separates the wheat from the chaff. Retail industry is rapidly adopting the data centric technology to boost sales. Retailers who use predictive analytics achieve 73% higher sales than those who have never done it. Retailers are gasping big data solutions through customer analytics to grow faster, increase profitability and win competitors rat race by personalizing their in-store and online product offerings. Below we present 5 most interesting use cases in big data and Retail Industry, which retailers implement to get the most out of data. Data analytics - used for improving marketing efficiency and raising profits is not a new fad in the retail industry. The retail market being a highly competitive space has companies innovating in the field of consumer behavior analysis to find new buying trends. Popularly termed as market basket analysis, it refers to the collection of data that comprises of the various buying habits and the preferences of customers. This allows the retail outlets to place say shampoo and conditioner or toothpaste and toothbrushes together, as the data pattern shows that people who buy a shampoo will invariably also buy a conditioner. Placing the two products together merely eliminates the choice of the customer and subtly influences the purchase behavior. A survey conducted in June 2013 by Gartner predicts that the Big Data spending in Retail Analytics will cross the $232 billion mark by 2016. Gartner surveyed close to 2/3 rd of the 720 businesses and IT leaders who said “they have already invested in Big Data or expect to invest in Big Data by the end of June 2015”. Gartner survey also projects that 73% of the retail organizations plan to invest in Retail Analytics 2 years down the lane. Retail Big Data Analytics Market is anticipated to grow from $1.8 billion in 2014 to $4.5 billion dollars in 2019. Retail Analytics truly started with Target having figured out, quite early on – that data analytics can take the consumer buying experience to a whole other level. When Target statistician Andrew Pole built a data mining algorithm which ran test after test analyzing the data, useful patterns emerged which showed that consumers as a whole exhibit similar purchase behaviors. It got a little out of hand, when Target accurately predicted that a teen girl was pregnant (even before her family knew) and sent her customized products’ catalogue to ease her buying needs. Today, the breed of consumers have changed significantly. Big Data related to consumer purchase behavior is volatile, voluminous and the veracity of this big data has the big retail companies scrambling to innovate new data mining techniques and resorting to cheaper open source software, like Hadoop to accurately store and analyze data in real time. Big retail corporations such as Tesco ($130 billion), Walmart ($473 billion) and Target ($73 billion) have all experienced a significant decline in their revenues due to the fickle and unpredictable shopping habits of the new generation of customers. The new millennial would prefer looking at a Smartphone for price comparison and immediately placing the order without even walking down to the store. Companies like Walmart and Tesco have realized that the only way to bring about a change in data analytics is to partner with startup organizations that have in-built platforms to comprehend and hold on to consumers through intense data analysis. The supermarket chain TESCO has 600 million records of retail data growing at rapid pace of million records every week with 5 years of sales history and 350 stores. It would be practically impossible to analyze this amount of data at once, with the help of legacy systems. There would be a significant amount of data loss as the processing speed of legacy systems is limited. With increase in retail channels and increased demand for social media, consumers are able to compare the services, products and the prices regardless of the fact that they shop online or in retail stores. With access to pool of information, consumers interact with retail channels via social media platforms by empowering themselves in influencing other customers to make a shift from one brand or another through online review, comments and tweets. 1) It is becoming more and more difficult for the retailers to predict the consumer buying habits. Technology is a double-edged sword where one edge is sharpened with retailers having access to more information regarding their consumers and on the other hand the consumers are motivated to choose from a wide variety of options, which increases the risks of change in consumer buying habits. 2) Trends in Retail are changing at a very rapid pace due to enhanced methods of communications, changing technologies and varying consumer tastes making it difficult for retailers to analyze the changing trends without Retail Analytics. 3) As the saying goes that a Happy Customer will tell 1 person but an unhappy customer will tell 10. Thus, it is extremely important for retailers to employ sentiment analysis using Hadoop, for precise and accurate predictions as the customers are unforgiving. Any negative encounter with a particular retailer is intended to go viral on the web through various social media platforms. 4) Customers probably cry, laugh and sigh on the promotions and advertisements of the products as it strikes their sentimental heart strings. Retailers spend millions of dollars on advertising their products but it is very likely that the consumers might not purchase the products. Therefore, it is necessary for a retail organization to adopt retail analytics to understand the customers’ purchase behavior. The recurrence of data infringements has rocketed to such a high point that every week there is one mega retailer hit by frauds. Fraud Detection is a serious issue determined to avoid losses and maintain the customers’ trust. Most commonly observed frauds include fraudulent return of products purchased and stolen credit or debit card information. Manipulators are always inventing novel tools and technologies for fraud, and retailers must employ retail analytics to identify fraudulent activities and prevent them before they take place. With a swarm of big data technologies like Hadoop, MapReduce and Spark it is possible to perform analysis on more than 50 Petabytes of data to accurately predict the risks which was previously impossible. Giant retailer Amazon has an intensive program to detect and prevent credit card frauds, which has led to 50% reduction in frauds within first 6 months. Amazon developed fraud detection tools that use scoring approach in predictive analysis. This retail analytics depends on huge datasets that contain not just financial information of the transactions but it also keeps a track of browser information, IP address of the users and any other related technical data that might help Amazon refine their Analytic models to detect and prevent fraudulent activities. Retailers personalize wide range of elements that include store formats, promotion strategies, pricing of the products, staffing. 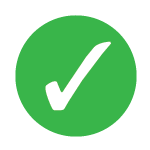 Personalization may be dependent on various factors such as demographics, location specific attributes (proximity to certain other businesses) and the purchase behavior of the customer. eCommerce companies like Amazon, eBay have mastered the art of personalized service. Retailers are trying to do the same by providing customized messages, shopping offers, and seasonal freebies. With Big data technologies like Hadoop personalized experience will bring in paramount customer service resulting in happy customers. Localization and personalization techniques require various analytical approaches to be implemented that include behavioral targeting, price optimization and store site selection analytics. If the motive is to localize clusters then a technique for clustering needs to be used. Localization in retail sector is not usually geographically oriented; however retailers can target pricing, offers and other product assortments depending on the behavior of the customer to provide them a personalized shopping experience. Amazon has pioneered personalization strategy by using product based collaborative retail analytics. Amazon provides data driven recommendations to customers depending on previous purchase history, browser cookies, and wish lists. Big Data has the prospective to transform processes across various industries and this tech trend could be the way to increase efficiency in the retail supply chain management. Supply chain management is significant to the retailers in the long run. Retailers make every effort to create optimized, flexible, global and event driven supply chain model to increase efficiencies and enhance relationship with supply chain stakeholders. Supply Chain Management is inefficient without Retail Big Data Analytics because it would be very difficult to track individual packages in real time and gather useful information related to shipments. Retail Analytics in Supply chain involves optimizing inventory, replenishment, and shipment costs. Metro Group retailer uses retail analytics to detect the movement of goods inside the stores and display relevant information to the store personnel and customer. For example, if a consumer takes an item into the trial room, the product recommendation system recommends other related products while the customer is trying on the apparel. The store personnel inform the customers whether the products are in sock or not. The retail analytics system of Metro Group also keeps a track of the movement patterns on and off the shelf for customer analytics for a later point in time. Retail Analytics also alert managers at Metro Group about abnormalities in product by identifying unusual patterns, for example the product is taken off from the shelf several times but it is not purchased. 1) Internal Profitability Intelligence – Every online transaction is tracked at unit level profitability by taking into consideration various variable costs such as vendor funding, COGS (Cost of Goods Sold) and shipping charges. 2) External Competitor Intelligence- For a given set of retailer products, retail analytics provide real time intelligence information about those products on competitor’s website with corresponding prices. Amazon’s analytical platform has a great advantage in dynamic pricing as it responds to the competitive market rapidly by changing the prices of its products every 2 minutes (if required) whilst other retailers change the prices of the products every 3 months. Staples.com is another giant retailer leveraging retail analytics for dynamic pricing by identifying various opportunities for price optimization to generate incremental revenue and margin. Other retailers that leverage Retail Big Data Analytics are RadioShack and Groupon. Forecasting demand and sale volume in retail is much more difficult than any other industry, because of millions of products and their variants, seasonal impacts on the demand of a product, changing trends in fashion, changing customer preferences, thousands of different retail outlets and various other promotional influences affect the demand and sale volume of any product. . All this results in huge amounts of Big Data being generated which can be leveraged through Retail Analytics to get a precise view of demand and sales volume. Big Data in Retail can be analyzed to generate millions of predictions on daily basis at a product level or at store level. Staples, a US based supply chain store uses Hadoop and other Big Data technologies to forecast sales by processing close to 10 millions of data transaction every week as input and forecasts the daily and weekly sales of the office supplies across 1100 retail outlets in US. Staples uses these predictions to target, market promotions based on geographical area. Staples was able to see significant drop - close to 25% in their overall promotion costs with the use of Retail Analytics. Retailers are making the most out of Big Data technologies like Hadoop to reduce costs and maximize profitability. Big Data in retail needs to be integrated with best in class technologies like Hadoop to gain insights that can help retailers can react quickly to changing trends. If there are any other efficient Big Data and Hadoop uses cases in the Retail sector that exploit the power of big data technologies then please do share with us in the comments below!. 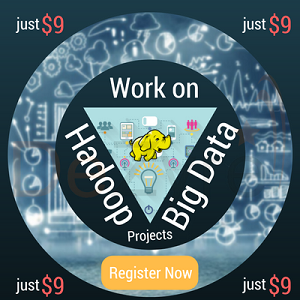 Know more about Big data hadoop training and certification program taught by Industry Experts!